40 Amp, 12 Volts. Wind/Solar Diversion-Charge Load Controller. This diversion controller has most of the features of our larger controller, but is much more compact and economical due to to the fact it is specifically designed for 12 volt systems. 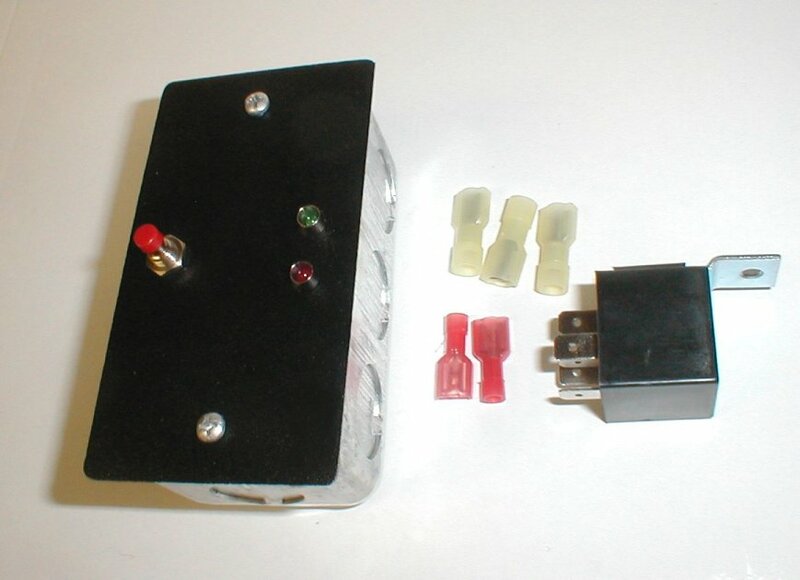 High amp rating - 40 amps with the one included relay -- You may add more if you need more amps. Steel enclosure. This compact unit mounts in a standard outlet box (included). Long leads for easy termination. The dump remains active for a minimum of 5 seconds, at which time it is checked by the microprocessor. If battery voltage drops below the "Dump Cancel " level, the dump is disabled, otherwise the dump is continued and rechecked every 5 seconds. High amp rating -- 40 Amps as configured! -- This is a respectable controller. The enclosure is heavy gauge, solid steel - Ready to mount. -- No plastic, no junk, simple and rugged. The internal relays are configured to dump the batteries along with the source, but if you desire to disconnect the source from the batteries and send it to the load directly, simply utilize the N/C contacts of the relays as well. See the wiring diagrams below for further information. How to compare this controller to others. Do they come with a enclosure? Standard Diversion Control Disconnect Control (Solar) Diversion Control with battery disconnect Dual Wind and Solar Control.